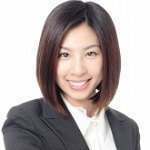 What is Swanson Health Products Razberi-K Raspberry Ketones? 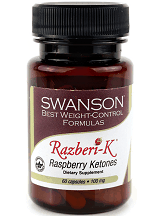 Razberi-K Raspberry Ketones is a dietary supplement from Swanson Health Products which claims to support healthy weight loss. According to the manufacturer, this formula is perfect for people seeking stimulant-free support for a healthy weight-management program. They also allege that researchers think this formula works in two ways. 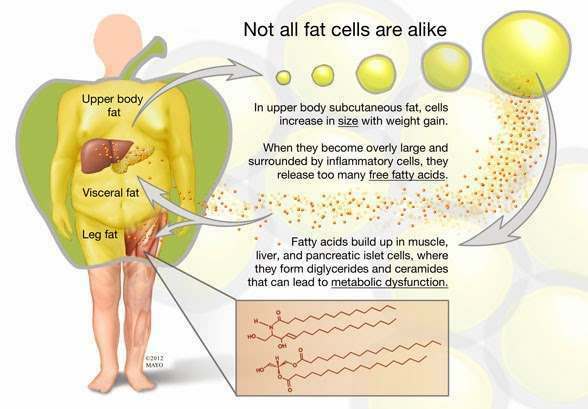 It reduces the absorption of dietary fat and supports the epinephrine-induced breakdown of fat. Additionally, the right way to achieve your weight loss goals is by combining such an effective formula with healthy lifestyle choices. The main ingredient in this formula is 100mg of Razberi-K Raspberry Ketones [4- (4-hydroxyphenyl) butan-2-one] per capsule. Other ingredients include rice flour and gelatin. 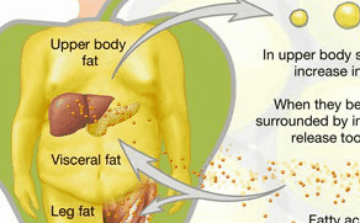 It may also contain either or both magnesium stearate or silica. 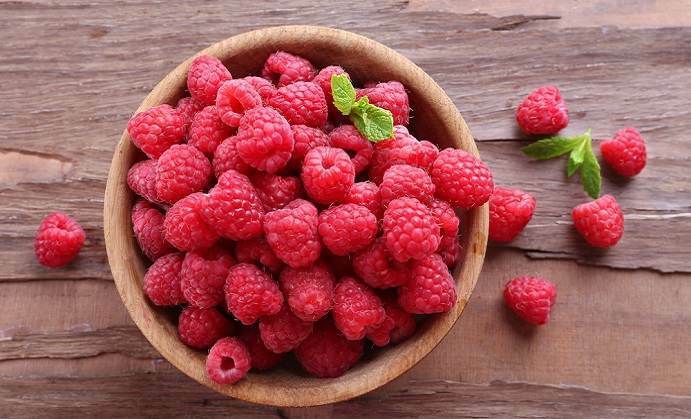 This is one of the lower potencies for a raspberry ketone product that we have found, which may affect the effectiveness of it. The manufacturer recommends that as a diet supplement, adults should take one capsule two times daily with water. We could not establish if it should be taken before, with, or after meals. It is also unclear when this formula should be taken. At the time of our review, a bottle of Razberi-K Raspberry Ketones containing 60 capsules was retailing at $3.99, marked down from the recommended retail price of $6.99 on the manufacturer’s official website. Shipping is free on orders exceeding $50 plus a discount of 10% for all future orders if you sign up for their auto refill option. We have not identified any adverse side effects associated with the use of this dietary supplement. However, there is a user who claims to have experienced mild symptoms of light-headedness and nausea. The manufacturer clearly states that this formula is not intended for use by pregnant or lactating mothers. 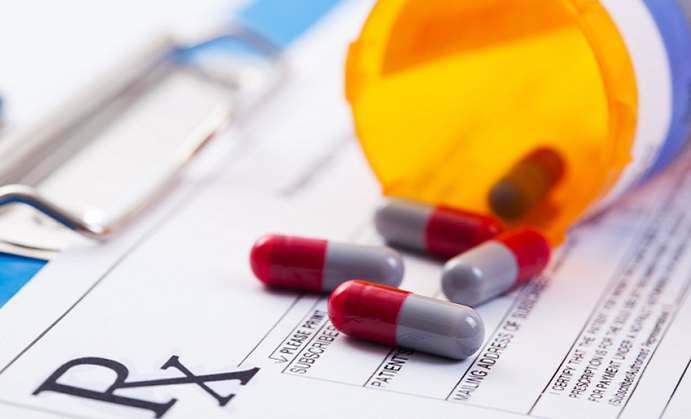 It is also recommended that you should consult your doctor before using this dietary supplement if you are on prescribed medication. You should discontinue using if you notice negative reactions. All Swanson’s health products come with a 100% money-back guarantee satisfaction for their customers. 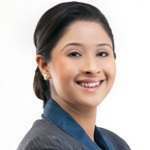 The manufacturer claims that customers who are dissatisfied for any reason will be fully refunded and cater for return shipping. However, we could not find detailed information about how the manufacturer executes refunds. 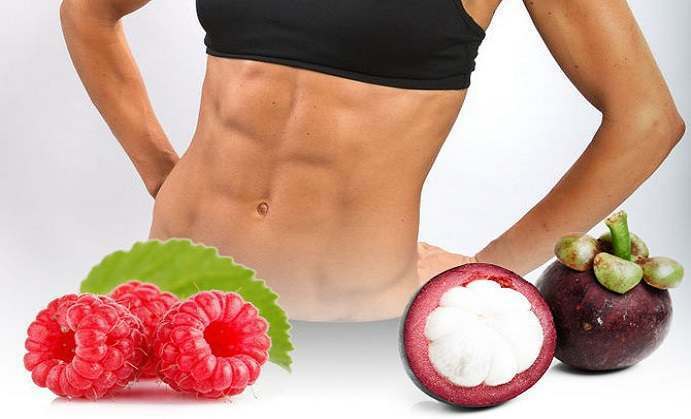 Razberi-K Raspberry Ketones may be an ideal product for people struggling to shed the extra pounds although it seemingly doesn’t have much to offer. 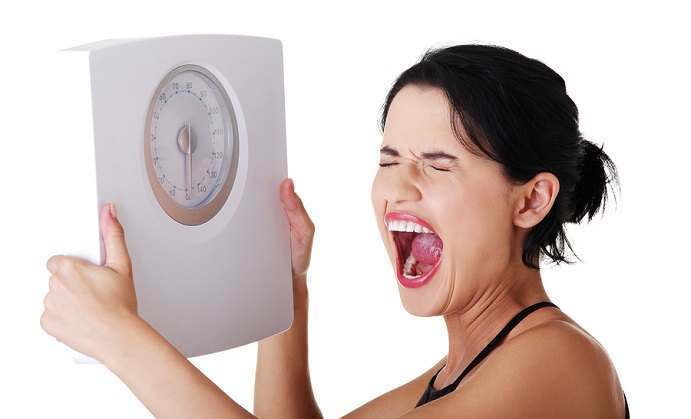 It is cheap compared to other weight loss supplements available in the market, but it also doesn’t contain as strong a potency as other products. It also comes with 100% money-back guarantee for unsatisfied customers. However, it has some downsides. Details about their money-back guarantee are not clear. There are also mixed reviews on the manufacturer’s official website with some claiming it was not helpful. Overall, this product only received an overall rating of 3.8 out of 5 stars. 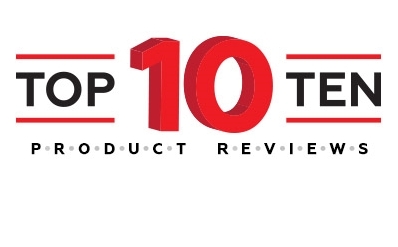 It may be better to look for a more potent product with better reviews for effectiveness.